First, it should be understood that Miller’s hardline approach to immigration predates his work for Trump. 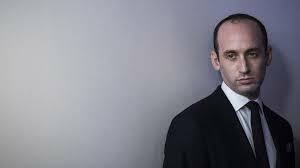 In 2013, as an aide to then-Senator Jeff Sessions, Miller made his name on Capitol Hill fighting ferociously against a bipartisan immigration-reform bill alongside populist-right media allies like Breitbart News. The effort to sink the legislation prevailed, and his credentials as a true-believing ideologue were secure. He is, by all accounts, an avowed restrictionist, and he likely believes that separating children from their parents at the border will deter future illegal immigration. But when we talked, Miller also made it clear to me that he sees immigration as a winning political issue for his boss. Of course, if the goal were simply to draw voters’ attention to the border, there are plenty of ways to do it that are less controversial (not to mention, less cruel) than ripping young children from the arms of asylum seekers and sticking them in dystopian-looking detention centers. But for Miller, the public outrage and anger elicited by policies like forced family separation are a feature, not a bug. A seasoned conservative troll, Miller told me during our interview that he has often found value in generating what he calls “constructive controversy—with the purpose of enlightenment.” This belief traces back to the snowflake-melting and lib-triggering of his youth. As a conservative teen growing up in Santa Monica, he wrote op-eds comparing his liberal classmates to terrorists and musing that Osama bin Laden would fit in at his high school. In college, he coordinated an “Islamo-Fascism Awareness Week.” These efforts were not calibrated for persuasion; they were designed to agitate. And now that he’s in the White House, he is deploying similar tactics. As public backlash has intensified in recent days against the new border policy, Trump administration officials have predictably struggled to formulate a coherent, unified defense. Amid all the bumbling recriminations and shifting talking points, one can sense in some of these officials a natural response to the situation developing at the border—if not shame, then at least chagrin. But for Miller, it seems, all is going according to plan—another “constructive controversy” unfolding with great potential for enlightenment. His bet appears to be that voters will witness this showdown between Trump and his angry antagonists, and ultimately side with the president. It’s a theory that will be put to the test in November. In the meantime, the heartrending orchestra on the border will play on.